For precision metal products, it is imperative to find a company that offers years of experience and unparalleled expertise in fabricating the best precision sheet metal products on the market. When it comes to quality assurance, several aspects of sheet metal fabrication play a critical role. You to be selective about the company that you hire. Whether you need fabricated products of metal, glass, plastic, paper, aluminum, alloys, titanium, or another material, experience speaks volumes about the company’s capabilities. The type and quality of the machines are also critical. If a fabrication company uses cutting-edge CNC machines, it can produce exceptional parts and components regardless of size or complexity. Extensive training is critical in the metal fabrication industry. 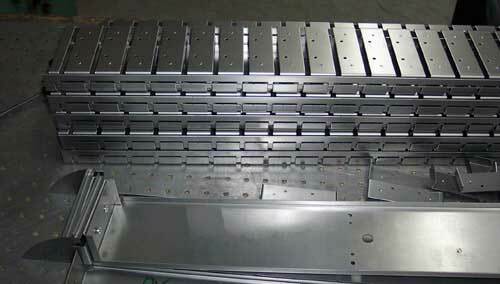 Although CNC machines perform tasks automatically, there is a lot involved in their operation. For instance, if a fabricator fed in the wrong written code or a miscalculated design, you would either end up with a bad product or have your project delayed while the problem gets sorted out. For excellent parts and components, proper training is essential. During training, an individual learns how to handle and control specific machines. Training includes the various components of the machine, operational functions, computer software, material handling, applicable tools, and more. Ultimately, a well-trained professional can produce all types of products with precision. Choose a company that mandates its fabricators complete the Fundamentals of Metal Fabrication certification program. That way, you have the assurance that the individual can produce precision sheet metal products that not just meet but exceed your expectations. Standard curriculum to work as a professional sheet metal fabricator involves things like OSHA safety training, applied mathematics, drafting, geometric construction, orthographic projection, sheet metal layout, pattern design, shop equipment, hand tools, and even parallel, radial, and triangular line development, plus more. As a second to fifth-year apprentice, training becomes more intense. Along with enhanced studies for skills already learned, training covers architectural sheet metal layout and installation, art welding, blueprint reading, computer skills, customer service, testing, adjusting, balancing, and many other tasks. By finishing a five-year apprenticeship, a person will have 10,000 hours of training. For superior sheet metal fabrication service, Weldflow Metal Products relies on highly trained professionals. Along with decades of experience, high-grade materials, and top-of-the-line computer software, our fabricators are the best in the business. For help with your fabrication needs, visit our website or call us today.